For the prosecution, this seeming suicide is nothing more than a bungled killing and a disgusted public looks to Court 2 of the Old Bailey for justice. Her callous, jilted partner Brent Stainsby stands accused of her murder and he’s turned to the maverick legal team William Benson and Tess de Vere to defend him. However, as the trial unfolds it soon becomes clear that there is far more to Diane Heybridge than meets the eye. She wasn’t the weak and downtrodden victim now being presented to the jury. She was capable of a sophisticated form of vengeance. 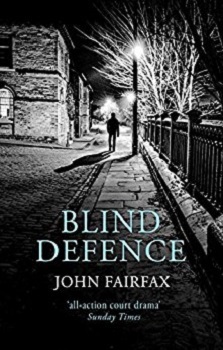 John Fairfax is back with another brilliant courtroom drama after his amazing first book in the Benson and De Vere series, Summary Justice, last year. This time William Benson, the lawyer that everyone seems to hate, has taken the case of the Blood Orange Murder, in which Diane Heybridge, a desperate and lonely woman, left her hometown of Devon to start a new life in London, is found dead in her flat, 10 days after moving to the capital. She was found in her bedroom hanging from the door with her hands tied behind her back and a wire around her neck. There was also a full blood orange found in her mouth. Her ex-boyfriend Brent Stainsby has been arrested and charged with her murder, but he swears his innocence. It’s up to Benson and his team, including associate Tess de Vere to prove to the jury that Brent didn’t commit the crime. But how easy is it to defend someone you don’t fully believe in and all the evidence points to him being the murderer? When I read Summary Justice last year I was hooked, the writing flowed so naturally and easily that I found myself enthralled in the courtroom drama. So as soon as I heard book two was out I had to read it. The main plot revolves around William Benson trying to work out all angles of the murder to help his client, a man that isn’t very likeable and is a compulsive liar. In Benson’s eyes, he might not have been the killer, but even if not he believed he helped her to her death via their destructive relationship and him unwilling to let her go when the relationship broke down. Intermingled in the case is the matter of an old one that could have dire consequences for the trial and for Benson’s client, as well as Benson himself when a few familiar names from his time spent in prison come back to haunt him. Aside from the case we also get more of a backstory on Benson and his time in Prison (yes he is an ex-con turned lawyer), via flashbacks. This gives you more of an insight into this character that has grit and determination to make it as a well-respected lawyer, even if others don’t believe in him and plot to bring him down and have him thrown out of the profession, including Richard Merrington, Secretary of State for Justice. This is an incredible book, one that I read within a few days. I found it exhilarating and I was kept gripped to the story from the first page. The plot is filled with plenty of suspenseful moments, lots of mysterious circumstances to work your way through and there is a good dose of added tension too. It kept me on my toes with all the twists, turns and last minute ‘eureka’ moments. I now look forward to there hopefully being a book three. This is definitely going on my TBR. I read the synopsis and it sounded really good then reading your review and finding out it really is that good makes me want it now. This sounds like a super engaging read. Great review! I totally agree, the amount of second books I’ve read that haven’t lived up to the first. This one certainly does. Sounds like a suspenseful and engaging read. Great review! 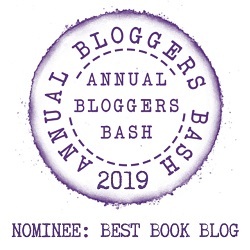 Ohh great review, I absolutely love a really good suspense and thrilling book especially if there is intense court drama in the mix. This one looks and sounds absolutely fantastic I’m glad you are enjoying this series. Thank you so much for sharing your awesome post.